The benefit of cash for car companies is they give cash for your car on the spot. So if money is tight, and if it’s what you need, then cash for car dealers or car removal services are a better option to go with. If you plan to replace your old car with a new or better quality second-hand or used car, however, then a ‘trade-in’ option may make more sense. Do note, car dealers will knock off at least 10% of the value of your old as you trade up to a new vehicle with them. For example, the market value of a Toyota Camry XLE with 30,000 miles on it is $19,479 according to Moneycrashers.com A car dealer will give you only $17,426 for the vehicle pocketing $2000 as you trade up to a new car. Who should you Sell your Old Car to? Used car dealers grill you like a piece of barramundi when you take your car to them requesting a quote. Is this fair? An established Cash for Car and Scrap Car Dealer, at Metro Car Removal, Sydney, we don’t think so. We believe that if a person wishes to sell their car – for whatever reason – they should be allowed to, without judgement or harassment. What we offer, at Metro Car Removals, as our Service Guarantee to our clients? Got an old car you no longer need or would like to sell? Do contact us at Metro Cash for Car dealers Sydney. What we can offer you, besides a prompt sale, is cash in your hand by the end of the day – if we receive your call by 10 am! March 8th, 2019 is International Women’s Day. What better time to look at some of the most inspiring women who’ve broken the stereotypes and made a name for themselves in the automotive industry? For decades, anything to do with cars was termed a ‘man’s job.’ Slowly but surely, that attitude has been changing but we still have a long way to go. Nevertheless, the future looks promising, with more and more women refusing to back down when faced with such outdated and misogynistic views. Instead, they’re crushing their critics and naysayers by showing the world what they can do. Less than one percent of car mechanics in Australia are women, and Bianca Timbers belongs to this exclusive group. From being laughed at when she tried for apprenticeship to being the only women in her class when she did her course, it hasn’t been an easy road for Bianca. But she persevered and now owns a successful auto repair shop called True Revolution, along with her husband. Fabienne Wohlwend has made a name for herself in history as one of the few female drivers in the world competing at the coveted Formula level. Her obsession with racing started with go-karting when she was just seven. She pursued her dreams as an adult and is now racing in a Ferrari, driving at up to 300kmph. One thing’s for sure, at speeds like that, there’s no stopping this racer in her tracks! Bertha Ringer, a.k.a. Bertha Benz, carved her name in history as the first woman to drive a car long distance in 1888. While her husband was the one who created the car and had test driven it, he hadn’t driven it over a long distance. Bertha drove the car over 100 kilometres, creating history. Historically and at present, women have been constantly pushing boundaries and exploring new territory. As the saying goes “well-behaved women seldom make history.” So, in order to make history, you need to break the shackles, challenge the status quo and not be afraid to be different. “Happy Women’s Day” from Metro Car Removal. We could talk all day about cars – we are mechanics – we know all about them. Yet, our view is not as important as our customers’ is. The Cash for Cars business is extremely competitive. Given the number of years we’ve been in it, we know this better than anyone else. For customers to sell us their cars, we have to compete for the way everyone else has to. What your old unwanted car can get you? Up to $7,000 in cash – depending on the condition we find it in. If your car is newish or in good working condition, we will give you more for it than if it is not moving any more. But not to worry – if your car isn’t running, is out o0f rego, pink slip, or if you simply can’t afford to put new tyres or wheels on it or fix a faulty engine or mechanical part, we will buy it from you, paying you a fair cash amount for it. We need only a few details from you – the whole process will take less than 5 minutes. We’ll pay you cash when we Pick up your Unwanted Car. Most often, we’ll pick up your car the same day we quote on it. Got an old car you don’t need anymore? Call Metro Car Removal on 0422 600 833 – we’ll be over in an hour or two to pick it up! 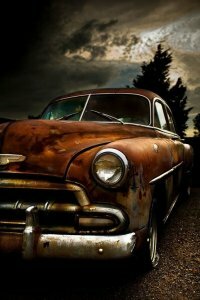 Selling scrap cars in Sydney has been a great business for many. There is said to be around 600 to 700 business that works in this line of the industry in the New South Wales region alone. However, undocumented business deals were plaguing the industry, thanks to a few unscrupulous Cash for Car Dealers who were looking to do backyard deals. Since typically, such dealers who engage in shady practices, such as not requiring sellers to show proof of ownership of the car or specifics of any registration, it became a good avenue for tax evasion. Undocumented dealings meant that there was no way to track down the stolen cars or to catch the thieves who had committed the crime and who continued to do so fearlessly. As this loophole in the security of residents was discovered, a bill was passed to put an end to such practices. Scrap Metal Industry Bill – What Is It? This bill requires all scrap metal businesses to be lawfully registered by going through a process of registration by filling out forms and such. At the end of the whole procedure, if the business’ registration information is as prescribed by the regulations, then the commissioner of police issues the business a certificate of registration that makes the existence of the business lawful. Through this bill, paying the customers cash is made a legal offense and is punishable by 100 penalty units. Thus, payments will henceforth only be made through EFTPOS transfers or cheques. While the bill was passed to curtail illegal activities and put a stop to undocumented car sales, a total ban on cash payments has disgruntled Sydney car sellers. The bill also requires cash for car dealers to record the details of their customer and the scrap car for every transaction. The businesses are directly answerable to the commissioner of police. The police through this bill have also been empowered and given the right to search without warrant and arrest on legal grounds, anyone deemed responsible for illegal activities in the business. For more information visit Police NSW. Metro Car Removal is a Sydney wide car removal service that can help you to get rid of your scrap cars at amazing rates. Give us a call today on 0422 600 833 or email us. Before buying an encumbered car, it is essential to know precisely what it means. Metro Car Removal Sydney offers the following information on encumbered cars and the risks associated with them. A financial encumbrance on a vehicle means that there is some loan or financing option. Possibly, the owner took out a loan to purchase the vehicle, and it hasn’t been repaid. A financial encumbrance could also mean that the car was put up as collateral against a loan. Can Encumbered Vehicles Be Legally Sold? Yes. Although the owner owes money against the vehicle, the car can still be sold; however, the seller must disclose that the vehicle is encumbered. 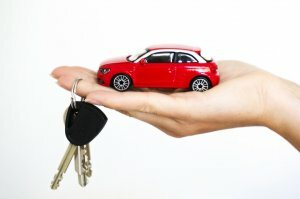 What Is the Risk of Purchasing an Encumbered Car? The most significant risk is that the vehicle could be repossessed from the new buyer to pay the outstanding loan balance. If the buyer was aware that the car was encumbered there is nothing the new owner can do. What If You Think the Vehicle Is Worth the Risk? If you feel that the vehicle is worth the risk, then there are steps to take before you purchase the vehicle. Meet with the seller and discuss the purchase, getting to know the seller a bit. If your gut tells you that the seller is not trustworthy, then walk away. Find out as much as you can about the loan. How much is the repayment? How does the seller intend to repay the loan? Can you trust that the seller will pay off the loan? Contact the financial institution or financier involved to request details of the loan. You can find out the details in a PPSR report. What Happens If the Encumbered Vehicle Is Repossessed? If an encumbered vehicle is repossessed, knowing the vehicle was encumbered, you accepted the risk when you purchased it. However, you can take legal action against the seller. If you were not aware that the car was encumbered, you have a claim. How to Quickly Find Out If A Vehicle Is Encumbered? A PPSR report is the fastest way to find out if a vehicle is encumbered. Car owners that would like to get their cars sold can do so with Metro Car Removal Sydney. 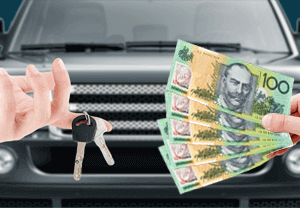 We are leading cash for a car company in Sydney that will make you an offer today. Australia has always been that quiet continent that has always appeared in the top of the list of the world’s best technological advancements, businesses, agriculture and tourism to name a few. Almost every family in Australia owns a private car. Cars have been the most affordable mode of private transportation to facilitate most of the daily activities done locally and there is need to secure them from possible disasters to avoid disturbing the flow of daily routines. We are going to discuss some of the things you need to know about car insurance in Australia. This is the most expensive of the four insurance plans but the price is worth the services. It is the best plan to consider especially if you are running a big vehicle that may cost you a lot of cash if you are to repair with own pocket. The comprehensive plan helps protect against most of the disaster causing events that are almost unpredictable such as fires, storms, collision and theft amongst many of others. If you run a business involving a lot of travelling, then this would be the best option you can choose for your car insurance provided that your business is able to pay for the monthly payments. 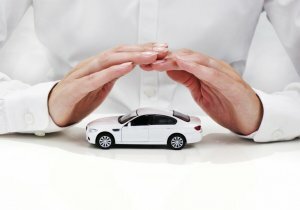 As the name suggests, this is a mandatory plan that every car owner needs to have so as to avoid cases whereby damages are caused with none to take responsibility. It is the cheapest of all the plans and is best if you do not like a lot of expenses every month paying for car insurance when you have other things to do. This plan is basic in that it only involve car repairs of others. Choose this plan if you do not need a lot of tasks when looking to protect your car especially if you are in rural setting where you do not interact too frequently with other road users. Clearance for this plan is so easy and may be best if you want to sell your car to another person or a Car Removal Sydney Company. Third party property insurance cover is good for protection of property that does not belong to you when you are the cause of the accidents. With this cover, you will be free of any unexpected accidents that only includes you in the miscellaneous budget. It helps you pay for damages you have caused to the property of the other person but does not include yours. This plan however, does not include fire and theft issues that you may fall victim in case an accident occurs, say, you caused someone’s house to get burnt and this takes us to the next plan. The third party plan only covered repair costs of property damaged but did not include fire and theft. Third party fire and theft covers these incidences and is better compared to the former, though expensive. Despite the good offers this plan provides, you still have to be careful because you will still not get help from the company if you are the cause of the incident. So, as you choose this plan, stay away from any troubles you are likely to become the factor. Metro Car Removal Sydney understands that your car may be in scrap condition, but you want the best value for the car. Most scrap car owners have the same question in mind: how much can they expect to receive for their scrap car from the wreckers? 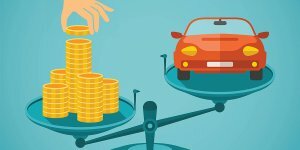 The short answer is that different factors will determine the car’s value. 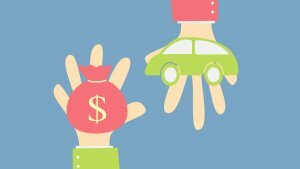 Factors That Determine How Much You Can Get For Your Scrap Car? The condition of the car is among the primary factors that add to or decrease the value of the scrap car. If your car is in drivable condition, the value will increase as the wrecker can reuse parts of the engine, or possibly sell the car at an auction. If the car is deteriorated with a failed engine, the car will be recycled for its metals, which will also fetch a handsome amount. The make and model of the car are also factors. For instance, if you have a Ford Explorer and the vehicle is incomplete scrap condition and will be recycled, the weight of the vehicle is more substantial than a sedan, as there are many more metals to recycle. 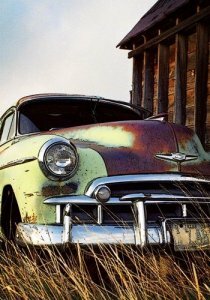 The weight of the car is used when a car is in scrap condition and cannot be used for parts or any other purpose. The appraiser will calculate the value of the car in the weight of its metals to provide a value for the car. On average, the metals of a car weigh about two tonnes. When having your car evaluated, it is essential that you provide as accurate of a description as possible for the vehicle. The appraiser should know the condition of all parts of the car, what’s under the hood, and even the condition of the vehicles tyres. Scrap car owners can obtain free car valuations for their scrap cars with Metro Car Removal. We provide quotes over the phone, as well as online. To receive an online quote, please visit our homepage and complete our “Get a Quote” form. To obtain a quote over the phone, please contact us at the number below. We provide quick quotes. Receiving a quote only takes a few minutes. So, contact us today to get your used, old or damaged car sold. Get a top cash car valuation with Metro Car Removal by calling us at 0422 600 833. If you are in Inner West and have a used and scrap vehicle, call Metro Car Removals to take care of all your auto issues. At Metro Car Removals & cash for cars Inner West, our essential objective is to help you sell your car in an easy and hassle-free manner. Our services are effective and properly designed that are offered by an efficient and trained staff. Experts at Metro Car Removal ensure that you don’t need to do any of the work, with the exception of counting the money we paid you for your car. ‘Selling your Car’ has never been this easy in our suburb. We don’t only offer the best services of car purchasing and removing; we pay the best Cash returns for your Used Cars in Inner West. Call us at0422 600 833 to avail our services. Why Choose Metro Car Removals Sydney? WA Car Removals offers standout services when compared to other Car Removal and Recycling businesses in Inner West. We provide our services in all of the regions. Our services are speedy and reliable. One call and we can set up a meeting and provide Free Car Removal in Inner West the same day from your location. Metro Car Removals has an ultimate goal of achieving a high level of client satisfaction. We offer one of the “best cash returns for your vehicles” in Inner West Park, offering up to $9999 in INSTANT CASH for your used cars, 4WDs, trucks, and vans. Providing our services for over 15 years, we have become one of the favorite businesses of auto owners. In this time, we have bought an extensive variety of vehicles, that includes almost all kinds of small and big vehicle. We are not just interested in buying cars. 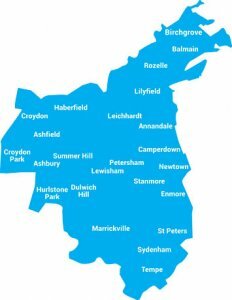 If you are in Inner West Region, you can offer us your vans, buses, trucks, SUVs, 4WDs and any other vehicles you need to get rid of. Whether you have a vehicle that is unwanted, rusted or damaged beyond repair, Metro Car Removals will offer you the most attractive cash returns for your unwanted vehicle. Get it removed by us and make decent amount money off something you believed was useless to you. The model, make, year or maker of your vehicle is none of our concerns. Metro Car Removals is also a scrap and recycling specialist, making it possible for us to get the more out of your vehicles. If your vehicle can’t be utilised for its auto parts, we recycle it for metal, enabling us to offer better value for your vehicles. This not only helps us in paying you more but also keeps Inner West cleaner and greener. You don’t need to wait for a quote! Just call us at 0422 600 833 or email us at enquiry@metrocarremoval.com.au and we will offer you an instant quote with zero charges and no obligation. Calls us now in Inner West for Car Removals! What is the wait for? If you are in Queens Park or anywhere else in Perth looking to sell a car, WA Car Removals is your best choice. It can be frustrating to find a suitable buyer for your used car that is willing to pay you top dollar value. Moreover, most people don’t tend to offer cash on the spot for purchasing used vehicles. Given the saturation of the market, the prices they offer are less than satisfactory. Avoid all the hard work and headache of selling a used and unwanted vehicle in Perth and call us now for a free quote! Not only will we purchase your car for the best prices, but our Car Removal services will also be free. We offer one of the best cash returns for vehicles in Inner West, offering up to $9999 INSTANT CASH for used cars, 4WDs, trucks, and vans. Is there a quick & easy way to get your scrap car valuated? Yes. There is a way to get a price for your car the same day that you decide to get it off your property. Let Metro Car Removal tell you how. Firstly, scrap cars aren’t the easiest vehicles to deal with when it comes to disposing of the cars. One nice thing for both scrap car owners and the environment is that the car disposals are not as they once were. There is no having to dispose of them in landfills, and no having to go to the expense or time of dismantling the vehicle to take it to the local recycling company. Today, scrap car removal companies are used for the disposal of scrap cars. Scrap car removal companies offer the solution that allows scrap car owners to have an easy disposal and get paid cash for their cars, and it all starts with having the cars evaluated by the companies. The car removal company may require that you schedule an appraisal time to have them evaluate the car. When this is the policy, most of the removal companies will come to the location of the seller in Sydney. The removal company may provide instant valuations over the phone or online. When valuations are provided over the phone or online, the seller will be required to provide a complete description of the car. Typically, the more thorough the description of the scrap car or truck, the better the price of the car as even the tyres for the cars are evaluated. When it comes to the Sydney provider, it is important that you determine their reputability. Car sellers should deal with a company that is established within the community, and one that provides optimal services. The provider should not be one that buys scrap cars and then takes them to a middleman, or immediately the cash price you are offered for your car will be lower than from one that recycles the cars. They also should ensure that the company has a physical address as this is a sign of a reputable provider. Scrap car removal companies are the way to sell scrap cars in Sydney with no hassles. The providers come to the locations of the sellers to purchase the cars, leaving an instant cash payment in the hands of the sellers. They also provide all necessary paperwork which leaves sellers with the peace of mind of a legal sale for the car.